A landslide that swept over houses in a village in Kyrgyzstan early Saturday has killed 24 people, including nine children, the emergencies ministry told AFP. "All 24 citizens of Kyrgzystan, nine of them children, died under the landslide in the south of the country," said emergencies ministry spokeswoman Elmira Sheripova. She was updating an initial statement that reported four dead and at least 20 missing. 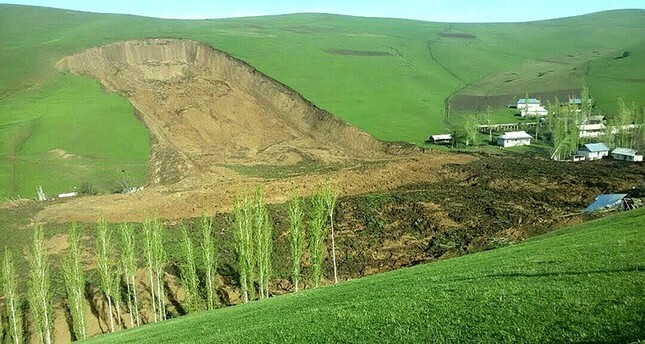 The landslide hit the village of Ayu in the Osh region of the mountainous Central Asian country at around 06:40 a.m. (0040 GMT) and covered six houses with inhabitants inside, the emergencies ministry said in a statement. A total of 266 rescue workers including medics and soldiers were at the scene, Sheripova said. The emergencies minister, Kubatbek Boronov, flew to the scene on the orders of President Almazbek Atambayev to take "all possible measures to alleviate the consequences of the landslide and give all necessary help to families of the dead", according to a statement on the president's website. The emergencies ministry said that Boronov was in charge of organizing the evacuation of 40 families living close to the disaster zone and housing them in tents due to the risk of further landslides. A district official Alisher Bakyshev told local media that residents had been ordered to leave by the emergencies ministry in March due to the risk of landslides and 34 families had left their homes but some later returned. Ninety-five percent of Kyrgyzstan's territory is mountainous. A landslide in the country's south in 2004 killed 33 people. Since the beginning of the year, at least 25 landslides have been registered in the Osh region of the Central Asian country, killing six people, Russia's state-run news agency RIA reported.